Want to know what Komen Charlotte is doing in our 13-county service area? Follow along with us through the end of the year to learn about our programs, grantees, survivors, co-survivors and community impact. Today, meet Neel. 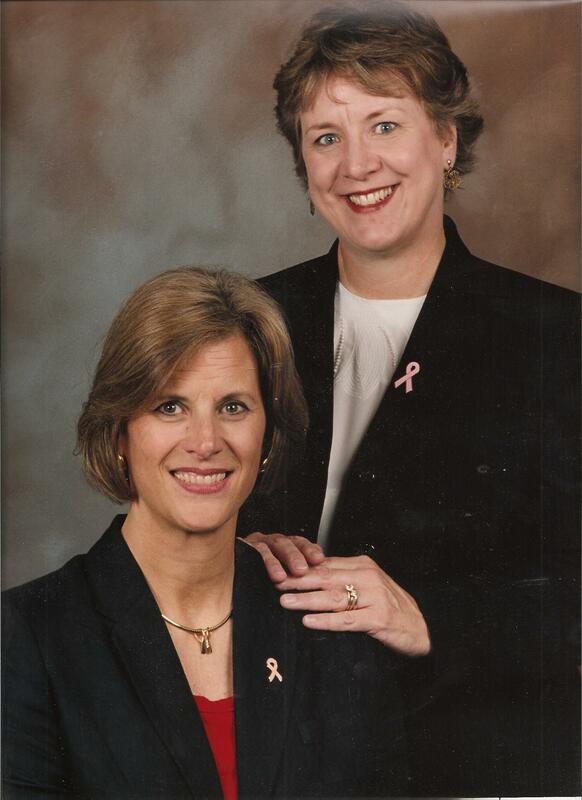 She is a breast cancer survivor, advocate and longtime Komen Charlotte supporter. See how Komen Charlotte has had an impact on her journey and why she continues to support the organization. It was November, 1996. My sister, Margaret Stothart, the mother of a four-year old, had a mastectomy with reconstructive surgery. I camped out at the hospital with her for five days as she recovered. Based on a bone scan, the doctors thought the cancer had metastasized, and they gave her a five percent chance of living. Fortunately, bone scans can be quirky, and this one turned out to be just that. On Friday the 13th of December, we went to Presbyterian Hospital so she could have more tests done, including an MRI. Shortly thereafter, the doctors agreed that the cancer had not spread and she went to a 95% chance of living. Today, 20 years later, Margaret is healthy, cancer-free and has a grown daughter. While staying with my sister at the hospital, I saw what she was going through, and I decided right then and there that I needed to get involved and do something about ending breast cancer. I heard that the Komen Race for the Cure® was coming to Charlotte in 1997, so I tracked down Penelope Wilson and asked a very dumb question, “Do you need help?” A group of us passionate folks, led by Penelope, Ellen Archer and Beth Kemp, launched that first Race at the Mint Museum on the first Saturday in October. We expected 1,000 participants; we had 2,300! We hoped to raise $100,000; we raised close to $200,000! It was a glorious day – a true celebration of life. It has been that way every year since for 20 years. As for my own journey, I was diagnosed with my first breast cancer in 1999, six weeks after stepping up to co-chair the Race. It was caught early, and I was aggressive with treatment – lumpectomy and radiation in the left breast. In April of this year (2016) after 17 years, I was diagnosed again. Same breast, same feelings, same passion to end this awful disease. I have now had a bilateral mastectomy and am happy to see breast cancer in the rear view mirror. Cancer didn’t use to run in our family. Now it does. The Komen Charlotte affiliate didn’t exist when I was first diagnosed with breast cancer, so it was the Race committee members that helped get me through my journey. This year, the Komen Charlotte staff, volunteers and board members rallied round me in a huge way just like they do with any survivor that reaches out to them. And just like they helped me, I am grateful that they reach out to me to help fellow survivors who are newly diagnosed. I feel strongly that we are ALL in this together. Although I have been involved with Komen locally, statewide, nationally and internationally, Komen Charlotte is where my heart is. I am constantly amazed by all the excellent work that is done to help people in our 13-county service area. I am proud to be associated with an organization that is committed to saving lives and working for a world without breast cancer. They have always been there for me and others, and I plan to be there for them as we all work to eradicate this disease once and for all.